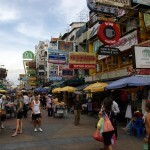 Thailand is an amazing country with hospitable people, maybe that’s why it is such a popular destination. 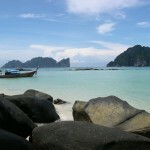 Travelers, who seek adventurous holidays and not the basic relaxing ones, could use some tips and tricks to travel Thailand cheap. I hope this short backpacker’s guide to will help you with your travel expenses. Basic requirements: Speak at least basic level English (and that with confidence) and own a credit card, not to mention travel insurance. Everything else can be purchased or dealt with low cost locally. It is actually even fun to negotiate on the markets when you want to buy something. Traveling solo doesn’t mean you’re going to be alone all the time. On the contrary! You can sleep wherever you want, eat whatever and how much you want, not to mention you get up in the morning when you want and can decide the tempo of your travel. When you’re on your own you can spare much more. The only drawback could be the accommodation, but you can find roommates or if not, many hotels/hostels already have single bedrooms available. Remember, your biggest cost will be your ticket to and from the country, so it’s advisable to buy only the flight ticket and you can arrange the accommodations and food when you’re already there. It’s good to keep up a good relation with your travel agency; they might be helpful later when you need some changes in your flight schedule. In countries where the largest part of the GDP is made up of tourism, you won’t have problems finding a good place to stay. 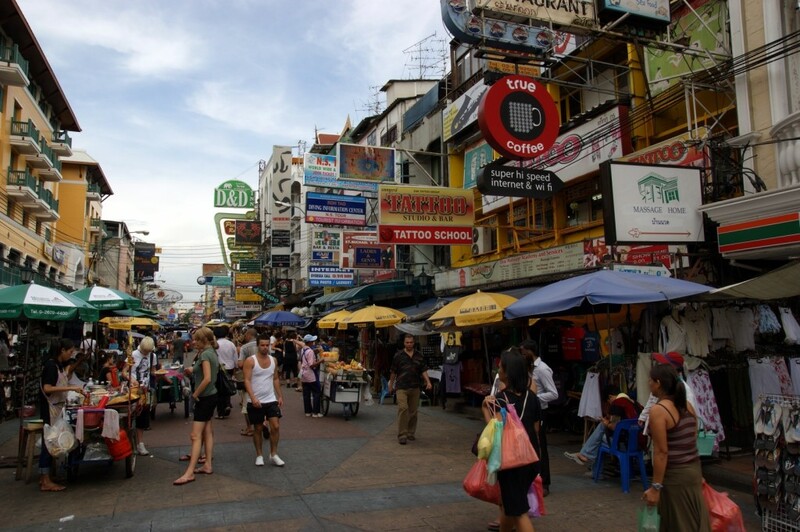 In Bangkok the most popular place is the Khaosan Road and its surroundings. However, do remember, the Road is very busy and noisy even at night – as you can see on the picture – so you might want to check the small streets for great accommodation prices and check every room you might like. You can generally trust the locals, they are really very nice, but of course, everyone wants to sell their own goods and this applies to rooms also. Apart from having much more interesting experiences, many of the tuk-tuk or taxi drivers would want to scam you, though at least the letter ones know the cities. Like for example, while going to the famous Siam Square with a taxi would take 400 baht, with the local 15 bus it would only take 7 baht. Traveling to rural areas you could also take long-distance buses from the bus terminals. You have to calculate, of course, lateness and distance, not to mention carrying your bags. Forget the international brands. Why would you want to eat pizza or hamburger in Thailand when you can do that anytime back home. Don’t be afraid to try out new things. Eat at street vendors or locally run restaurants. You not only claim the locals’ respect but you can also save up much more. 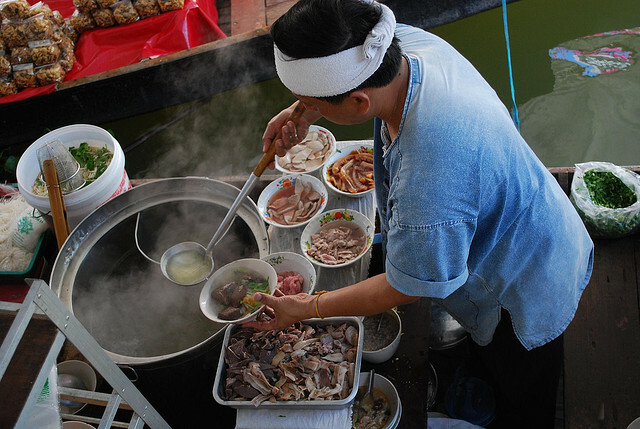 You can also buy local products from cheap stores, and though the quality of the food may not always be the best, but for a quick meal it can do the trick. 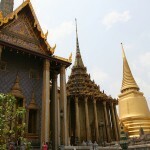 It is always good to have some tips how to travel cheap and this backpacker’s guide to Thailand sure hope it helped. I wish you a safe and interesting journey!